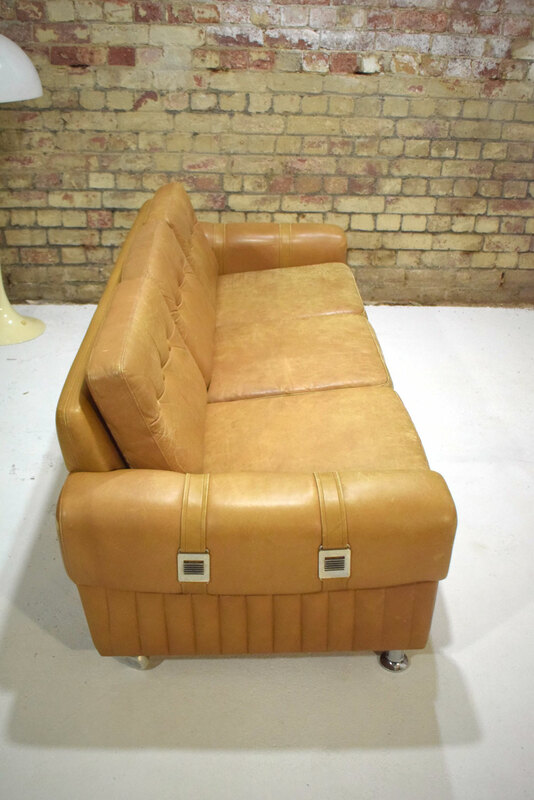 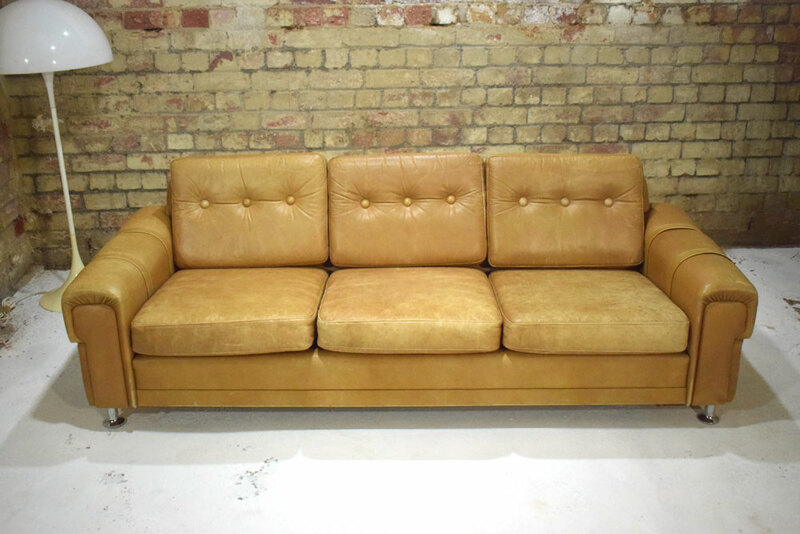 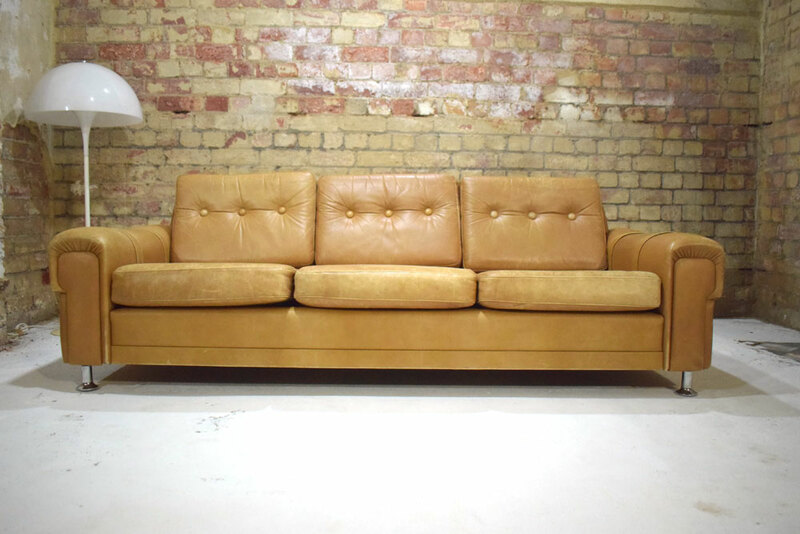 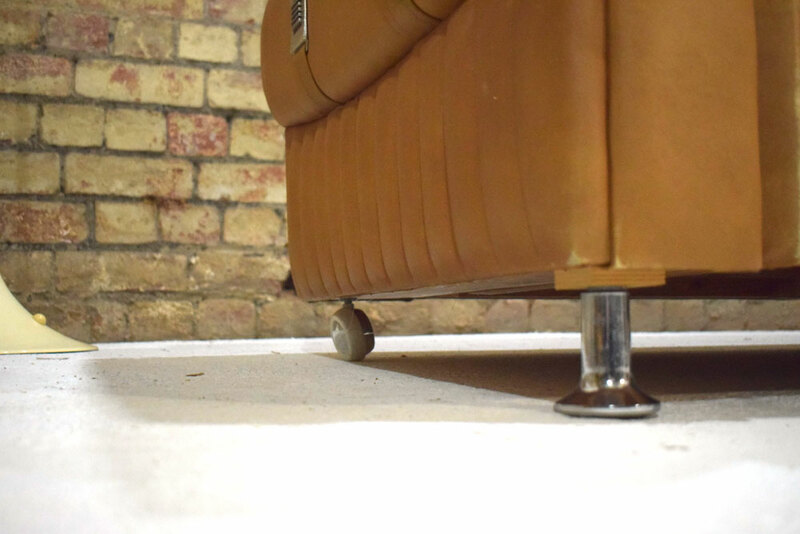 Vintage low 3 seat sofa in tan leather upholstery with metal feet & castors. 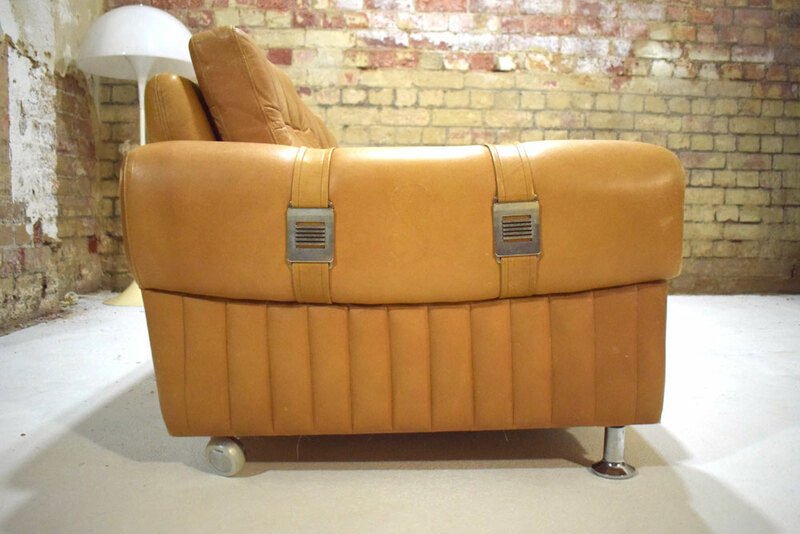 Brilliantly comfortable and eye catching vintage Danish sofa with 1970s buckles on the arm rests. 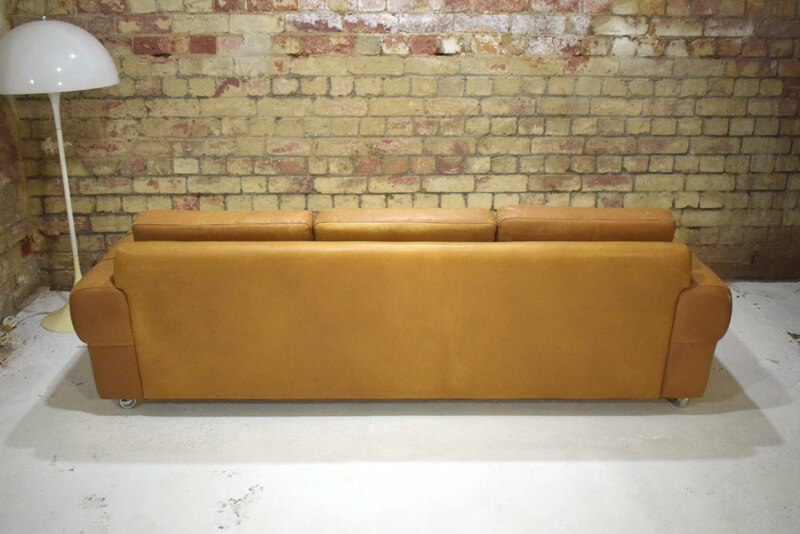 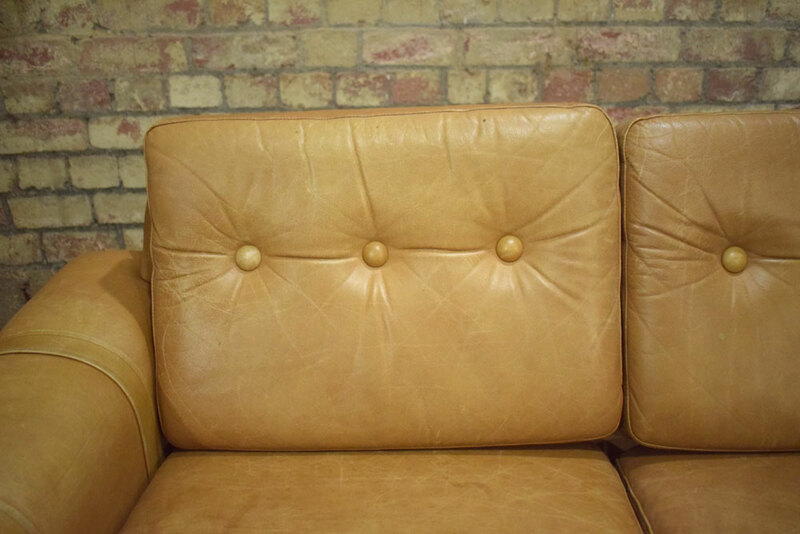 Unique to this sofa, you can see where the cow the leather is from had originally been branded. 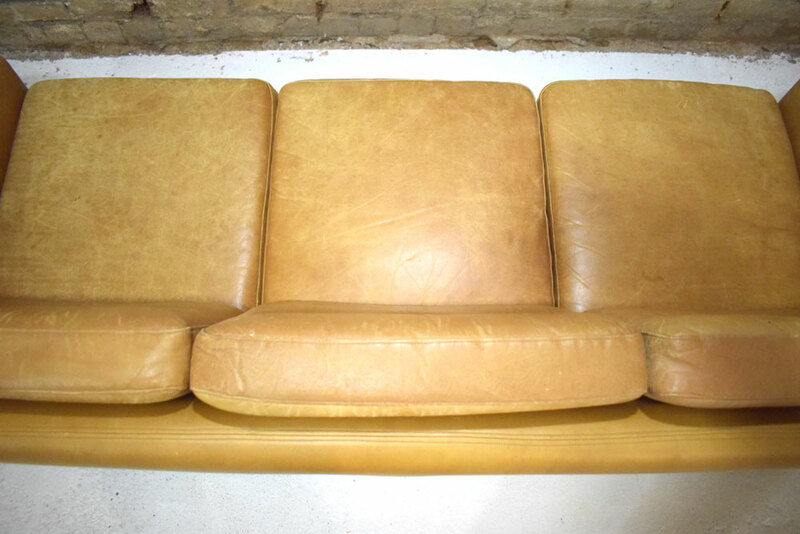 On the left arm rest side you can see it was branded with the number '8' and likewise on the left seat cushion with the designation 'F3'. 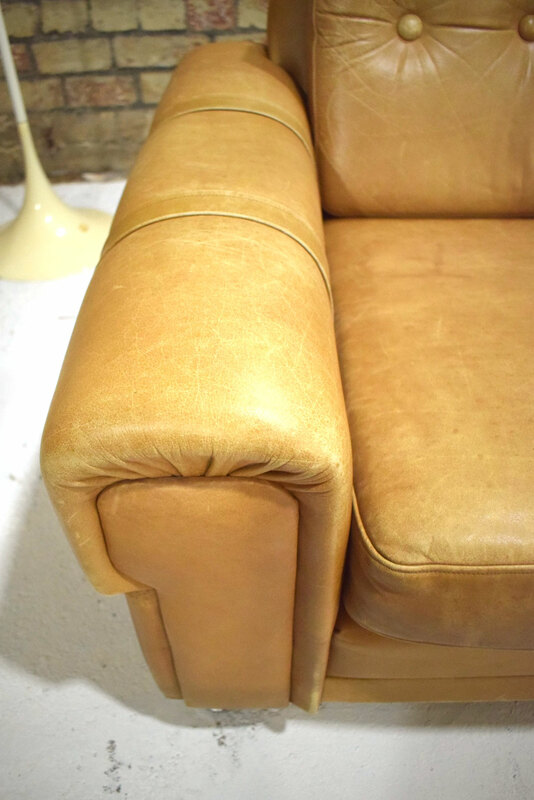 The leather is very good and far from worn out.